TWO DID YOU KNOW THAT THERE’S A RAMONES MUSEUM IN BERLIN? “Flo Hayler is a Ramones fan. In 1990, he goes to his first concert, and becomes a devotee of the punk rock band, this gig marking the beginning of a lifelong passion. Starting with posters, he hoards T-Shirts and all possible memorabilia. To the annoyance of his girlfriend, his collection grows proportionally to fill his small Berlin flat. And indeed, Hayler collects so much Ramones memorabilia that he now has enough to fill a museum. In 2005, he opened the first Ramones Museum in Berlin, and the world. Head to Kreuzberg to admire 500+ items from the Ramones’ history. A café with snacks, coffee and, of course, beer completes the punk picture. Explore exhibition spaces decorated like packed living rooms. Photos, information and history pour out of display cases and cover the walls.” Oh, and the museum offers life-time tickets to loyal guests. …has a blog, Brother Face (brilliantly subtitled, Jazz musician gets tangled in words) which is always thought-provoking and enlightening. This is from his most recent post, on Ava DuVernay’s 2008 film, This Is The Life, a documentary which “chronicles the alternative hip hop movement that flourished in 1990s Los Angeles and its legendary center, the Good Life Cafe” according to Wikipedia. And from the previous post, on songs from West Side Story, “Chord sequences stand up like a table, and if you want to build one with three legs you’d better know where to put them.” If Liam was American, he’d be published by The New Yorker. 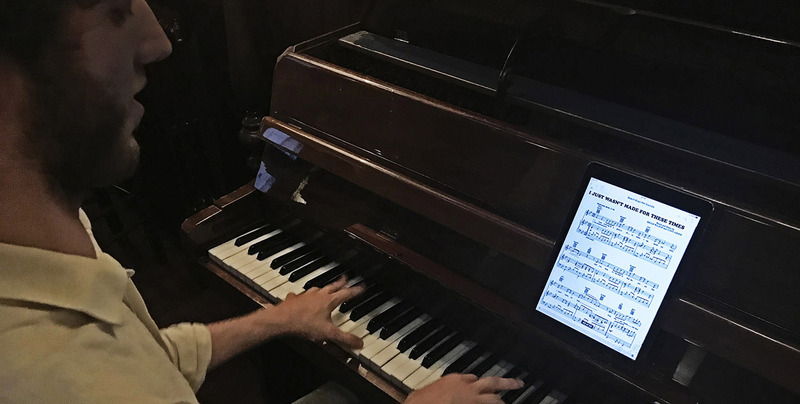 Now that’s what you want to see on your pianist’s iPad. Especially when it follows Billy Taylor’s “I Wish I Knew How it Would Feel to be Free”. Is That Machine On? is a look by Stuart Maconie at the “golden age of the music press interview.” An entertaining programme that ends up with John Pidgeon’s remarkable interview with Michael Jackson via his “interpreter”, sister Janet. Properly mad. And Radio 4 still has Great Lives on Miles Davis available. Listen to Adrian (Portishead) Utley and Richard Williams attempt to convince Matthew Parris of Kind of Blue’s place in the Pantheon. If you’re receiving the email out, please click on the Date Headline of the page for the full5 Things experience. It will bring you to the site (which allows you to see the Music Player) and all the links will open in another tab or window in your browser.